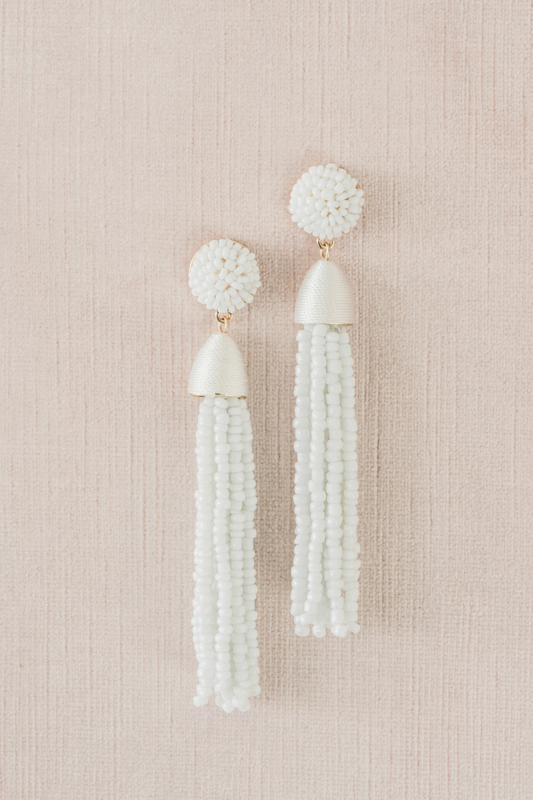 Dramatic motion and color come from these swinging linear earrings featuring a button stud and beaded tassel with thread-wrapped cap. 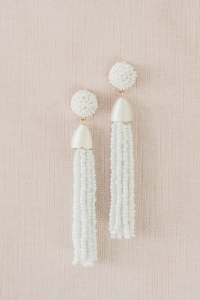 These pretty earrings are part of an exclusive collection celebrating romance and femininity for every moment. Keep jewelry away from water and chemicals; remove during physical activities; store separately in a soft pouch. My go to pair of earrings for any outfit. Pair with jeans and a cute top, a summer dress, or a cute jumpsuit!